1. Sensor data. 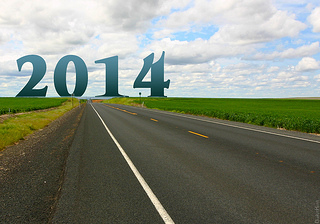 In 2014, sensor data will be front and center. Nowadays, there are many devices that contain sensors (ranging from your fridge to your fitness band) and all these devices contain tiny bits of data that in aggregate can be quite eye opening of bigger societal patterns and trends of what is happening in the world today. In many cases, these tiny bits of data are being collected by the manufacturers themselves or a third-party entity, so the question will become how are these entities using this data and in what ways might they present this data to the public (if at all, accurately)? It poses some unique story ideas for reporters to cover and raises an interesting public vs. private data issue. Furthermore, how can the news industry have the opportunity to work with sensor data for the greater good in the best interest of serving the public? We saw an example of this in 2013 with WNYC and their Cicada Tracker that showed the power of sensor data for news. In 2014, we certainly will see more of these kinds of news projects. Get ready! 3. Data libraries. In 2014, there will be a growing number of data libraries that will be popping up around the world. Some of these libraries will be created by third-party entitles, others through journalists’ collaborations and some will be newsroom-driven. These libraries will be of all kinds ranging from those that are for-profit with a pay-per-use model to an open-source format. We will also see libraries expanding beyond just the collection of numerical data and into other formats such as videos, graphics, photos and more. Examples of data libraries that have been in the news this year include but are not limited to Quandl, Knoema, and of course, the private newsroom data library tool Panda created by The Chicago Tribune team several years ago and has now become a project of IRE. This is definitely area to continue to watch in the coming year. One example that helps to show this powerful combination is HighCharts. It has continued to be a helpful resource for many newsrooms in creating charts. 5. Deep analysis and the meaning of the data. In 2013, there were several great data journalism projects produced by many reporters and news organizations around the world. There were several beautiful infographics and data visualizations as well, but at the end of the day, what does all the data really mean? A data-driven story is only as good as what meaning the story provides. In 2014, we are going to see the push to go beyond the typical presentation of results and going deeper into analyzing the data to make robust stories that help the public to understand what the data means. This will include a push into the possibilities of maximizing statistics and data science to find that greater meaning. Are you afraid of statistics? Don’t be. There is no time like the present to jump into the water and understand statistics as 2014 gets underway. As 2014 is quickly around the corner, these predictions highlight the power of what data-driven journalism can do in the coming year and how the news industry can impact the communities they serve one data point at a time.